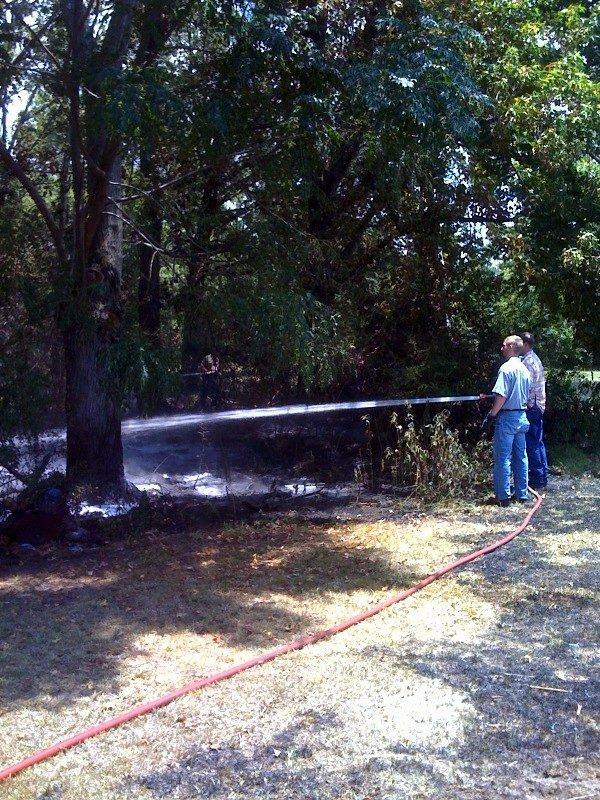 Firemen extinguish a blaze that was started by a burn ban violator. 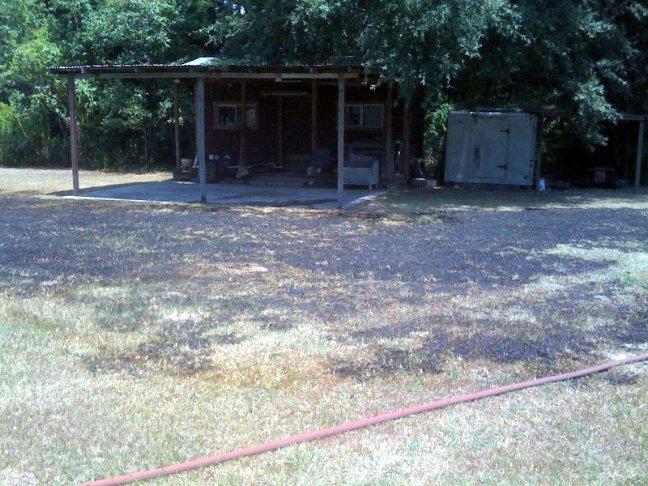 Burn Ban Violator Nearly Burns Down Mobile Home, LIVINGSTON, July 17 - On July 16, 2009, Polk County Sheriff's Deputy James Romero was off duty and traveling on FM 3126 when he observed a field on fire. 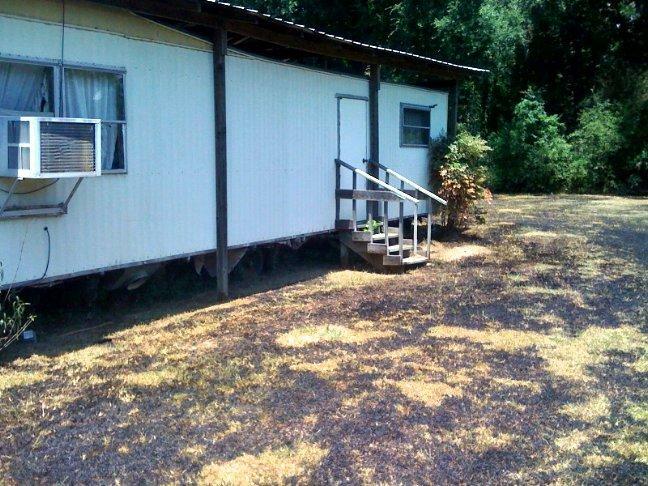 Romero noticed that the fire was quickly approaching a mobile home and a shed. Romero promptly called the Livingston Volunteer Fire Department. Polk County Sheriff's Deputy Christian Shanmier was dispatched to the scene and spoke with property owner, Raymond Biggar, 77, of Livingston. Biggar stated that he was burning debris in a barrel earlier in the day and poured two gallons of water on it and thought it was out. Biggar stated that he hurried outside when he observed fire trucks on his property. Chief Corky Cochran and five other fire fighters arrived on the scene to battle the rapidly expanding. The fire spread extremely close to a vacant mobile home, and two different wooden sheds as well as into a large wooded area. 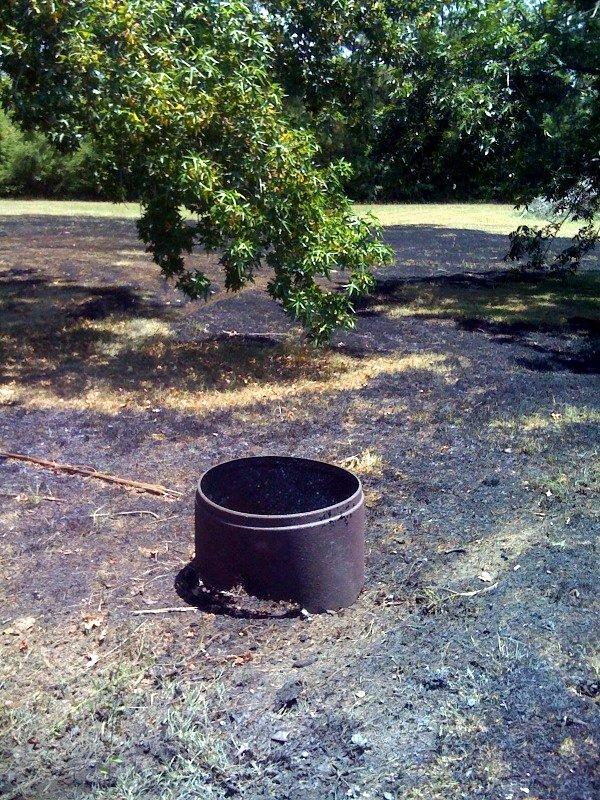 Biggar was issued a burn ban citation in Polk County Justice of the Peace Precinct 1 Darrell Longino's court. A special Thank You to Christian Schanmier. 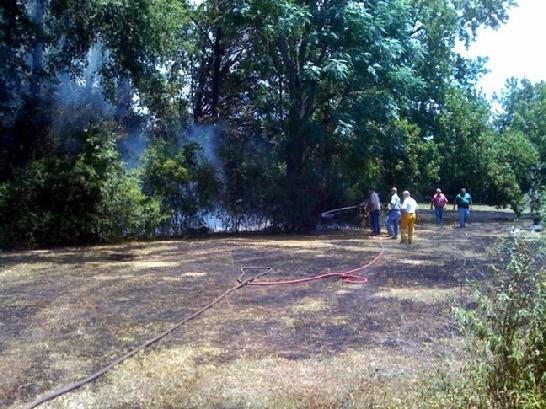 With conditions so dry, a fire can sweep across an open field in seconds. The fire nearly torched this unoccupied mobile home. The fire could have ignited this storage shed.